Image: Plawarn/Getty Images, stolenpencil/Getty Images. Design: Ashley Britton/SheKnows. 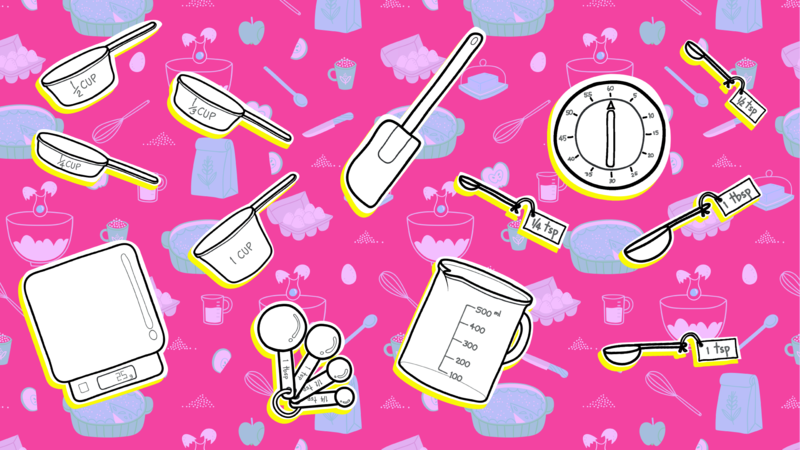 Whether you're halving a recipe or just don't want to wash that tablespoon when there's a perfectly clean teaspoon begging to get in on the baking action, it's always handy to know your measurement conversions. And while experienced bakers have many of them memorized, there's always that pesky one you can never remember that pops up right when your hands are covered in dough so sticky you wouldn't dare touch your iPhone to look it up. We made ourselves this handy chart, and now we're sharing it with you. Plus, we've included a handy cup-tablespoon-teaspoon conversion chart for halving and even thirding your recipes. Pro tip: If you're a prolific recipe cutter, snag yourself a 14-piece measuring cup and spoon set ($29.99 at Amazon) and two extra specialty sets so you have literally all the options, including the ever-elusive two-thirds teaspoon ($15 at Amazon), which is rarely seen in the wild, and even those kitschy "novelty" teaspoons with things like dash and smidgen ($5.99 at Amazon), which can be very helpful for cutting already small amounts. And don't forget the baker's best friend, the digital scale with tare function ($14.99 at Amazon). Now, save this chart to your computer or smartphone or print it out and put it on the fridge, because whether you prefer volumetric measurements (cups, teaspoons) or you kick it pro-style and weigh those ingredients for consistent accuracy each and every time, this is the only chart you'll (probably) ever need.